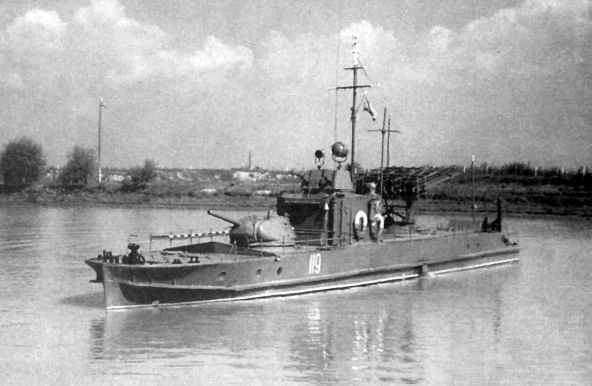 310 armored boats produced in USSR from 1934 to 1945. These military units were used at the rivers, lakes and inner seas. Also there were some light units of type D (of WWI era) and different units of type P (ex-Polish). Soviet WW2 armoured boat of 1125 type WWII photo. Soviet gunboats BK-213 and BK-214 raided the Finnish coast and intercepted a convoy of Finnish motorboats towing pontoons. Soviet commanders decided to not open gunfire, to not alert Finnish patrol boats, and the pair started a series of "taran" (ramming) attacks. In brief time, 4 Finnish motorboats were sunk alongside 2 pontoons, while other 2 pontoons were destroyed. Finnish sources confirm such losses (Soviets actually claimed a bit more: 10 targets sunk), and they suffered 3 killed and 4 wounded. The pontoons were empty yet this successful attack was a good result, but due the war situation similar raids were not repeated. Soviet gunboat BK-213 took part in another successful battle: with BK-322, they clashed against a group of 4 German auxiliary minesweepers into Peipus Lake. 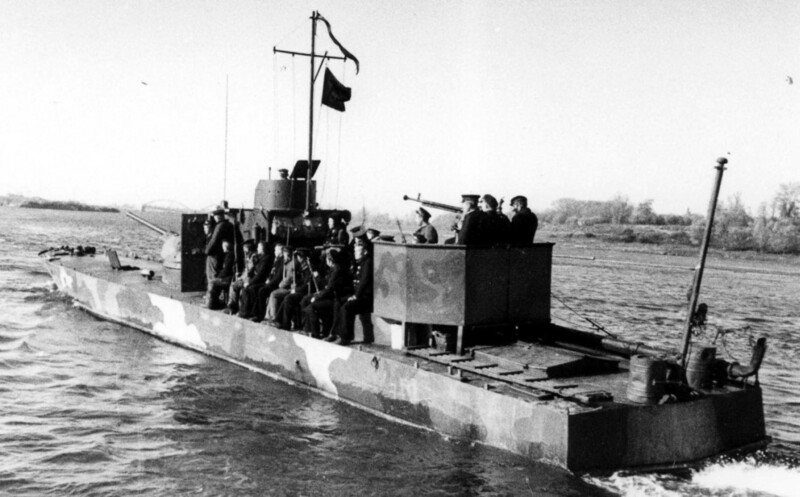 During the fight, the Soviet armored boats managed to split the enemy: the German KM-19 managed to escape even if she was damaged with 3 wounded, however KM-08 was surrounded by the BKs. The German boat suffered direct hits from the Soviet gunfire, finally BK-213 accomplished another "taran" (ramming) attack and the KM-08 was wrecked against the shore. Of the crew of 11 Germans, 2 managed to hide themselves and were later recovered by enemy, 5 died, 4 were captured (2 of them died for wounds). BK-213 suffered little damages with 2 wounded. Germans later further destroyed the wreck of KM-08 with an air raid to prevent the recovering by Soviets. During the night between 16 and 17 April, a Soviet group of armored boats (BK-200, BK-201, BK-202, BK-204, BK-205, BK-206, BK-212, BK-213 and BK-214) attacked a German convoy of barges and armed barges that was sailing away from Pillau. Sadly German documents of this time of war are absents: Soviets claimed to have sunk 2 armed barges and 2 other transport barges, but these victories can't be confirmed. It has been proposed that the German armed barge PiLb-554 (reported to have been sunk "due mine" that night and close that location) was actually sunk during the battle. Soviet gunboats of 1125 type clashed against at least 3 German armed barges of unclear class. Sadly there is a lack of documents about this battle, Soviets claimed to have destroyed two enemy targets. This event still have to be researched. In Azov Sea. The German auxiliary gunboats MAL-1 and MAL-2 intercepted in open sea the small Soviet gunboats BK-123 and BK-133 (both of 1125 class). Germans fully exploited the better range of their 88mm guns and the more stable aiming (the soviet gunboat's forward turret wasn't a stable firing gun for open sea). 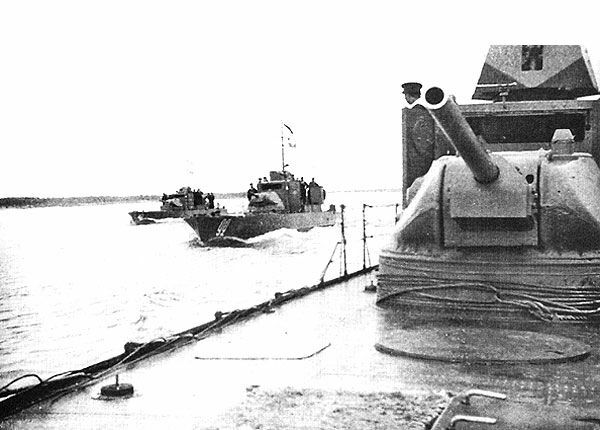 Both the soviet gunboats where hit and sunk without effects on Germans from Soviet fire. 4 prisoners were captured. Soviets made a raid on the Bay of Taganrog. The small gunboats BK-311 and BK-313 landed a team and engaged with the auxiliary gunboat MAL-1: they distanced and the German gunboat engaged at longer range the small gunboat BK-312 (class 1125) and BK-122 (class 1124). As happened on 18 August, the MAL exploited her longer range of the guns and managed to sunk both the gunboats without suffer damage or losses: 7 soviet sailors were captured. Later however a group of soviet aircrafts managed to strafe the group with the same gunboat MAL-1 that joined MAL-2, MAL-3, MAL-4, MAL-9 and the auxiliary minesweepers R-30 and RA-52 escorting 5 barges: some damages were caused (unclear on which units), with 3 killed and a number of wounded. In Black Sea, during the support for Kerch-Eltigen operations, the gunboats BK-81 and BK-323 (both of S-40 class) clashed against German armed MFP crafts. During the battle BK-323 suffered light damages but so did the German F-316, F-446 and F-578. Thanks this clash, German MFPs sunk no transport target that night. 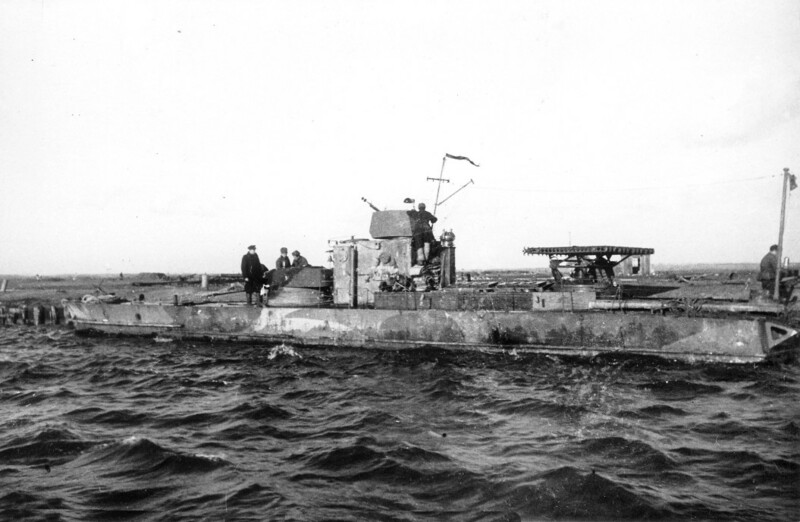 Russian WWII armoured boat of S-40 type photo. 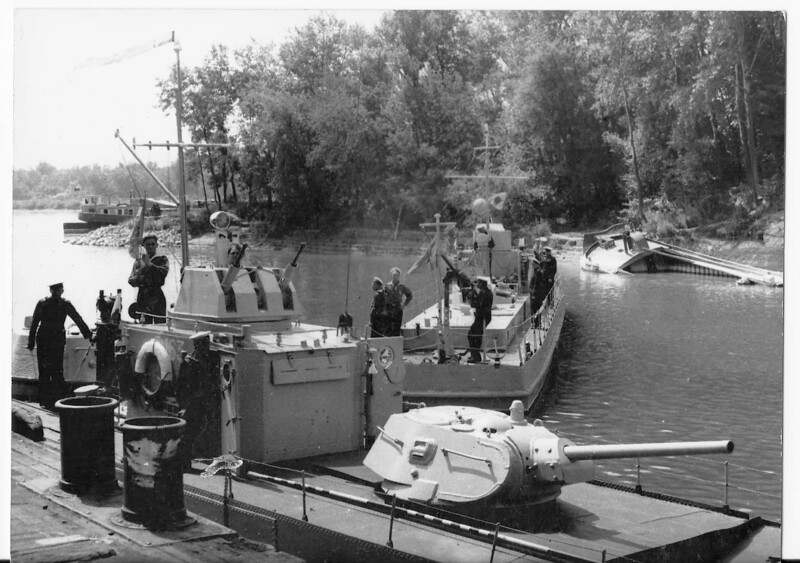 Soviet WW2 riverine armoured boats of 1124 project and S-40 type. 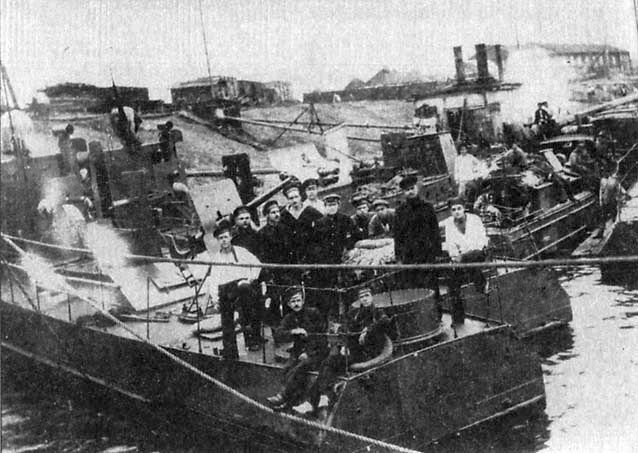 Russian gunboats of GVIU type (armed with two 76-mm cannons and four machineguns and armoured up to 6 mm) at Volga river.